Surreal, slightly outrageous but most of all hugely enjoyable our Headphone Disco show has rocked thousands of colleges, festivals and clubs around the globe since 2007. 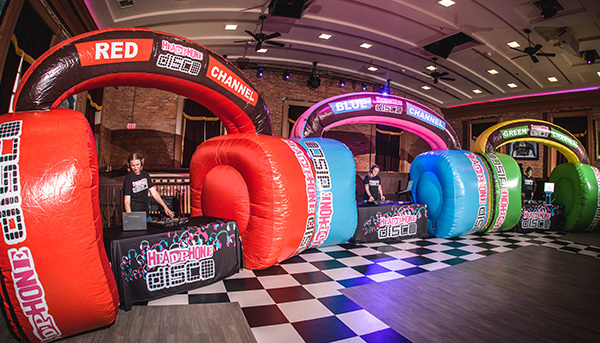 It offers a unique solution for promoters looking to appeal to multiple audiences at once, individuals looking to bring a talking point to their party, or those wanting to keep the fun going longer whilst abiding by local noise-restriction policies. Up to 3 DJs. Playing up to 3 styles of music. All at the same time. So how does it work? Our experienced tech team arrive and sets up sound, lighting, decor and projectors for a full on audio-visual production. As your guests arrive our event staff arm everyone with fully charged headphones and look after them through the night. 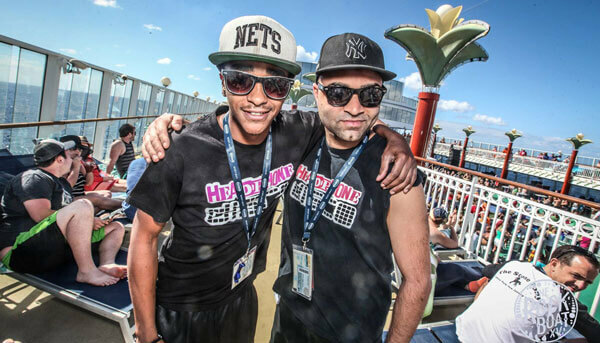 Our DJs simultaneously transmit up to three channels of hits specifically chosen to appeal to your guests varied tastes. The party people tune in on their headphones, and jump back and forth between genres of music with a flick of a switch. Watch the spectacle unfold as a mass of humanity throws shapes and sings along to what appears to be complete silence. As the night ends our staff collect headphones and pack everything up leaving you to relax and celebrate a successful night. From visuals and stage decor, to crafting the perfect playlists to keep your guests on the dancefloor, our collective of DJs, technicians, agents and promoters have years of experience tailoring the perfect Headphone Disco experience for all manner of clients. Get in touch with details of your event and we’ll put together a no-obligation quote today. Just looking to rent equipment? 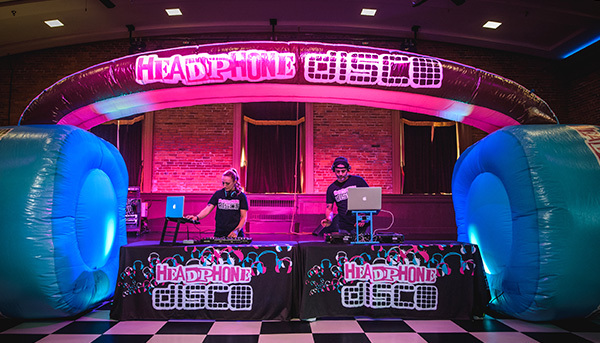 Check out our silent disco headphones package.